It’s the holiday season, which means it’s time to warm up the fireplace, pour yourself a glass of eggnog, and stay in during the cold weather, enjoying some of your favorite holiday movies. Usually these holiday classics are more heartwarming fare, filled with hope and belief, with life affirming messages. Recently, comedies have started going the more cynical route, with more dysfunctional characters and relationships highlighted. Christmas horror films, however, have still been seemingly sparse. Krampus, a film that is seeking an audience with both the cynical holiday crowd, as well as fans of the now-cult-favorite Christmas demon, is an attempt to give you a little bit of everything – with mixed results. Krampus is the story of a family that is pushing its way through the general holiday dysfunctions to try their best and have a pleasant Christmas. Tom and Sarah are trying to keep things together while their children, Max and Beth, have their own concerns. Despite all of this, Max has a profound love and respect for the holiday, which he shares with his grandmother. Things are complicated when Sarah’s sister arrives with her family, and tensions rise. Angered by the actions of his family, Max defies his belief in Saint Nicholas and makes a wish – one he will soon come to regret. Have you ever watched a film that left you so completely puzzled that you’re not even quite sure if your feelings lean towards positive or negative? A film that, if questioned on what the film was actually about, you’d probably stammer for a few minutes before vaguely describing a few scenes in the hopes that somehow you’d start to comprehend it yourself? That, my friends, was my experience with watching Loft. I’d heard of this film before – it is, after all, directed by Kiyoshi Kurosawa, the person behind such brilliant films as Kairo and Cure. I am unabashedly a fan of Kurosawa’s other work, so I certainly was excited to give this film a watch. And it does carry certain traits over that are common in his other works – a crawling pace, for example. Make no mistake, this one has a lot of the same atmospheric charm the others do as well – there’s just a strangeness to it that’s difficult to reconcile with his other films. Loft follows Reiko, an acclaimed writer who is suffering from writer’s block when trying to work on her new novel. As a way of combating this, she moves into a quiet and isolated house to try and finish up the new book. She becomes intrigued by her neighbor’s strange behavior, and soon learns that the loft she is living in once housed a woman that has since gone missing. Vampires are a classic staple of horror that have captivated storytellers for centuries. Still, they are somehow incredibly difficult to get just right. Make them too rough, and they lose the romantic flair that seems to draw people’s attention so consistently. Make them too soft, and you end up with a wreck like Twilight. 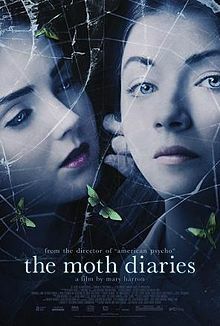 The Moth Diaries tackles this well-trodden path in an interesting way, and while the execution isn’t perfect, it does succeed in some of its pursuits. The story follows Rebecca, a sixteen year old girl, enrolled in a private girls’ boarding school. Occasionally withdrawn and teetering on depression, she still struggles with the memories of her father, a well-known poet, and his suicide. The one thing that seems to keep her sane is the comfort of knowing at school she’ll be reunited with her best friend, Lucy, and the rest of their friends – but the appearance of a new girl in the school, named Ernessa, seems to change everything.